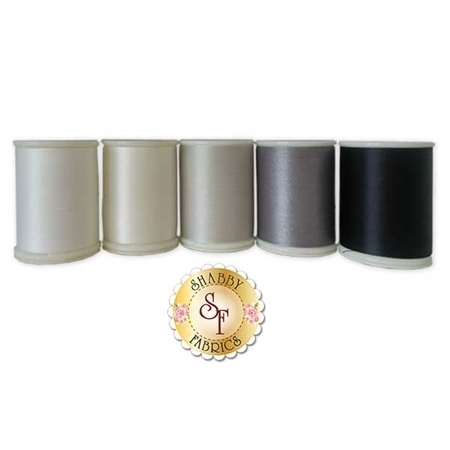 This 5 piece Neutral Bottom Line thread set is perfect for hand & machine applique detail quilting, embroidery, bobbin thread, binding, and much more! Set contains five 1,420 yard spools of 60 wt. lint-free filament polyester thread by Superior Threads. The colors are Bottom Line color numbers: 621, 624, 623, 622 and 625.